Dragon Wins from Next Generation software is a highly enjoyed video slots. It features 5 reels and 40 pay-lines and there are mythical creatures, i.e. Dragons. The design of the game is cartoony. The reels in the game are unique. The reels in the game have an unusual look. They are filled with gems and the background is that of a solid rock. 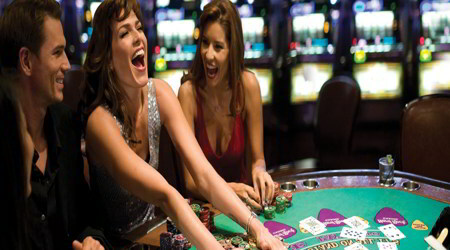 This phone slots game is a strictly cash slot which can be enjoyed on various online casinos. Dragon Spins- The wins that have a dragon in them will fill up the meter. When this meter gets full, three types of free spins can be triggered. Stacked Dragons- When the red dragons are added to the reels, they act as scatter symbols. On getting 3 red dragons, the spins will be retriggered. More Dragons- The dragons in the phone slots game turn golden and on top of that the landing gems can also turn golden. The scatter symbol also turns gold and landing 3 will trigger free spins. Free Spins- On landing 3 or more scatter symbols, the free spins rounds will get activated. The More Wilds feature will get you 10-15 free spins. The Wild Reels will award 5-10 free spins and there are chances that either of the reels will turn entirely wild.